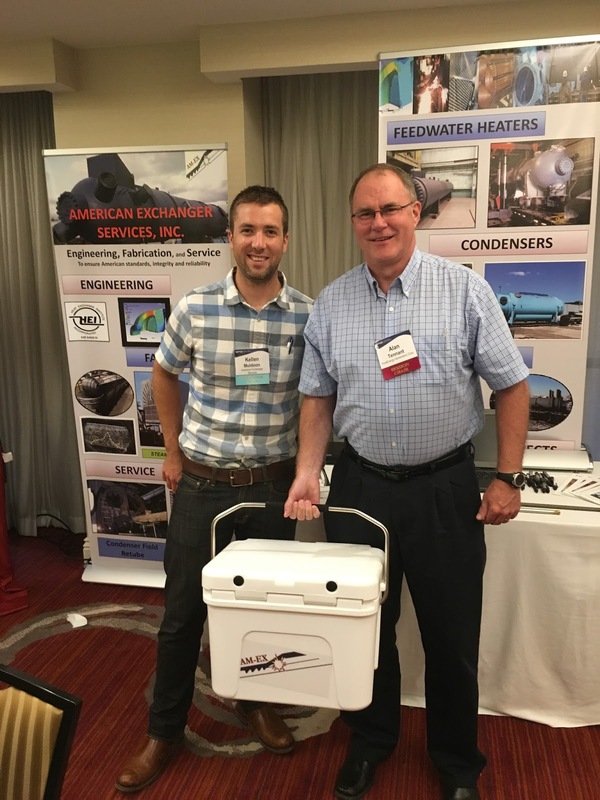 Congratulations to the winner of the AM-EX Yetti cooler raffle at the 2016 EPRI Feedwater Heater Conference! Find AM-EX at our next conference for a chance to win something cool! Contact AM-EX for all things Feedwater Heater. We satisfy your Low Pressure Feedwater Heater, High Pressure Feedwater Heater, Intermediate Pressure Feedwater Heater, Condenser Neck Feedwater Heaters, and any other Feedwater Heater requirements. AM-EX leads the Feedwater Heater industry with innovative solutions for your Feedwater Heater requirements!